Introducing a new home design company to KHD viewers, Atelier concept from Cochin, Kerala. Presenting a modern sloping roof single floor budget friendly house in an area of 1300 Square Feet (121 Square Meter) (144 Square yards). 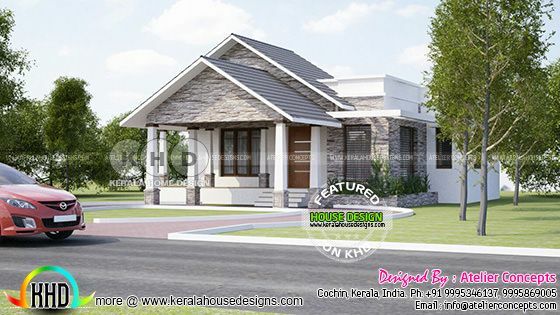 0 comments on "3 BHK Modern house plan by Atelier concepts, Cochin"